Our favorite heroes are back and we couldn’t be happier. Marvel is back and better than ever. Knowing they’ve got the viewership, Marvel took an extremely ambitious turn by hiring directing brothers Joe and Anthony Russo (they won an Emmy for “Arrested Development”) to craft a grounded and realistic film without the typical CGI spectacle. Boy, did it pay off. “Captain America: The Winter Soldier” is not only Marvel’s best solo film to date, it’s one of the best action movies to grace the screens in a long time. Filled with grounded heroics, pulse-racing action and the scariest movie villain since The Joker, the Russo Bro’s latest is nothing short of amazing in their adaptation of Ed Brubaker and Steve Epting’s character-defining comic run. Picking up where “The Avengers” left off, Captain America (Chris Evans) now works under Nick Fury (Samuel L. Jackson) at S.H.I.E.L.D. going on covert ops with the ever-so-seductive Scarlett Johansson, reprising her role as Black Widow. Along the way, Cap and crew uncover a conspiracy that goes all the way to the top, encountering several new and old faces along the way, including the suspiciously sly Robert Redford. Oh, there’s also the scary-as-crap Winter Soldier out for blood played by a KILLER Sebastian Stan in a role that will hopefully launch him into stardom. 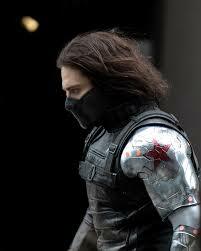 Sebastian Stan is absolutely terrifying (and kinda pretty) as the Winter Soldier. Photo from Hypable. 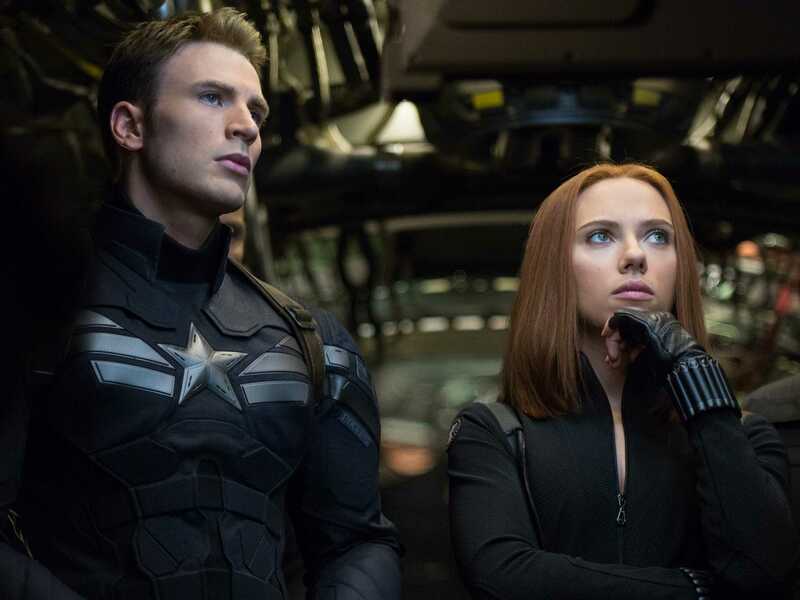 Somehow, the Russos not only captured a film full of everyone’s favorite superhero antics, they crafted a modern-age political thriller that never once strays from the path it lays out. Using as little CGI as possible, the movie feels more “Dark Knight” than “First Avenger.” It’s so refreshing to see a pair of directors tread new territory and take risks. And thanks to writers Markus & McFeely, they had some great character moments to capture on screen. The action never lets up. From the first car chase to the final, frightful showdown, every bit feels fresh. Not only are punches thrown and guns fired, but Cap seems to have learned a few more tricks for his trusty shield than just tossing and bashing that are sure to have fans cheering. As one can expect, all the returning actors gave another round of solid performances with a script that not only added depth, but completely changed their status quo. The film really benefits from its character additions. Anthony Mackie arrives as a new ally to the star-spangled avengers and is as entertaining on screen as The Falcon as he was heartbreaking in 2009’s “The Hurt Locker.” Frank Grillo, with a surprising yet welcome amount of screen time, shines as a new agent of S.H.I.E.L.D. that will surely be a big player in events to come. Robert Redford takes a surprising career turn to join the Marvel universe as a higher up in the ranks of S.H.I.E.L.D. and an influence on the captain. Would have been nice to see more Emily VanCamp as Agent 13, though. Whereas “Thor: The Dark World” and “Iron Man 3” both somewhat lacked in the villains department, this one makes up for it. The Winter Soldier is scary. He’s faster than Cap, he’s stronger, and if looks could kill, we’d all be dead. There’s a sort of painful intensity to Sebastian Stan’s performance and it makes the film’s climax hit that much harder. Although it feels a bit plot heavy at moments, and may lose younger viewers at parts, it doesn’t take away from the piece as a whole. The creative team clearly set out to make a modern day thriller that’s as serious as its hero, and they succeeded. “Captain America: The Winter Soldier” is a fresh take on a classic character that raises the bar for not only Marvel, but for the entire modern action/thriller genre. P.S. Stay after the credits. All of them.